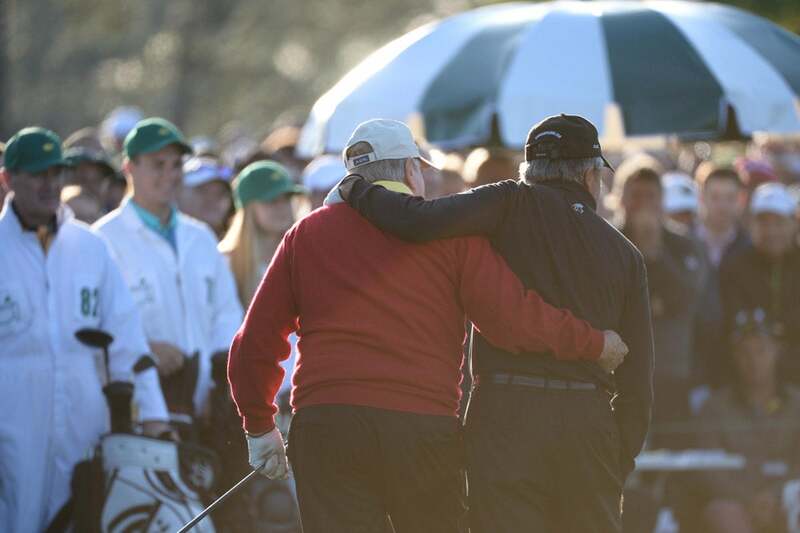 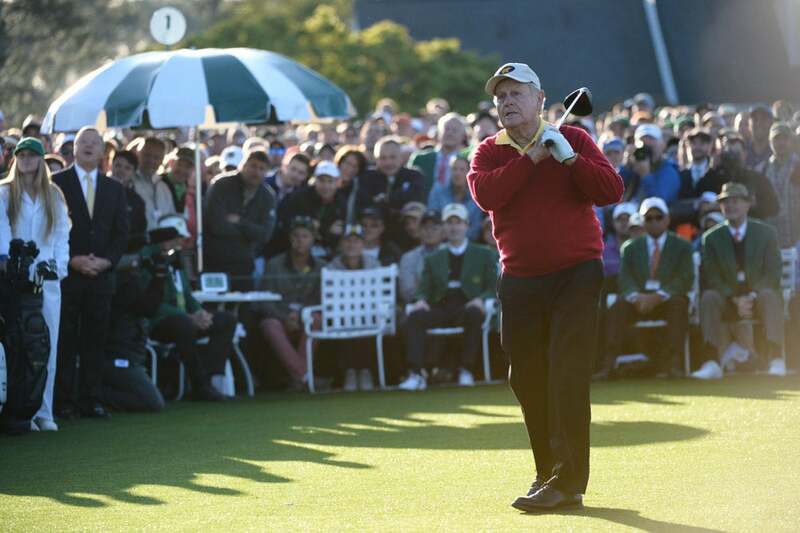 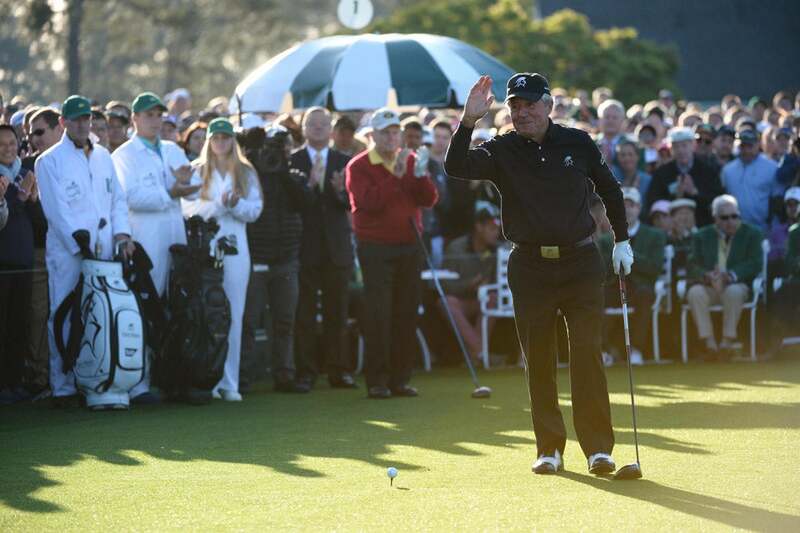 Jack Nicklaus and Gary Player joined on the 1st tee at Augusta National Thursday morning for the ceremonial opening tee shot. 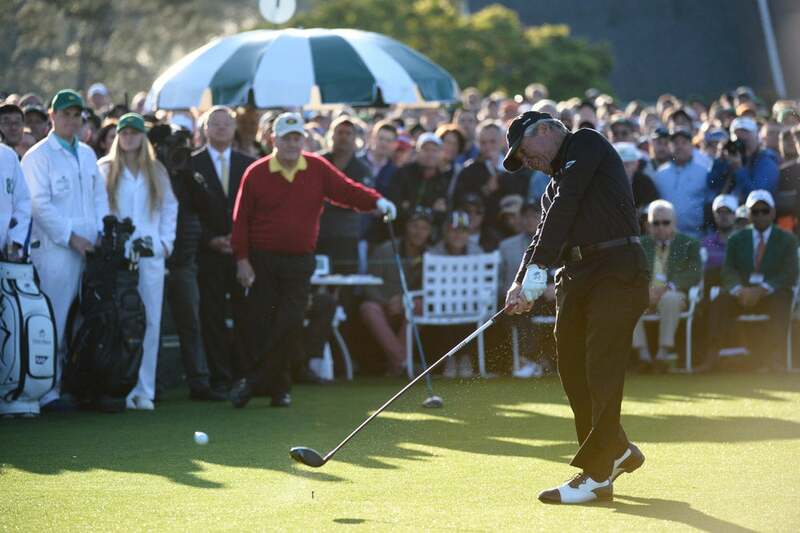 The ceremonial tee shots mark the beginning of the Masters each year. 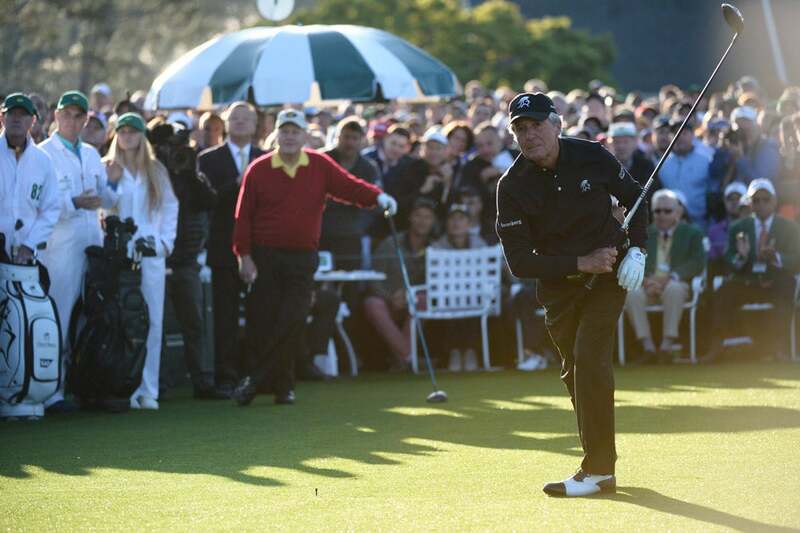 Gary Player hits his tee shot. 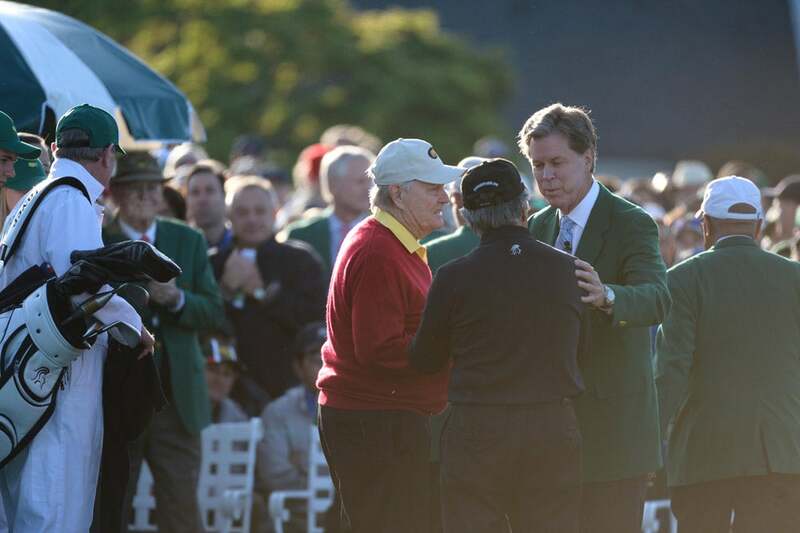 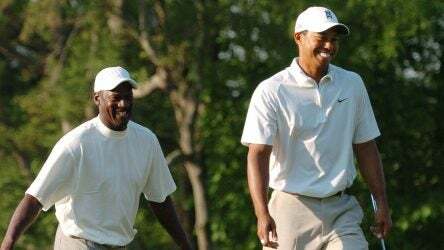 Player won the Masters three times in his Hall of Fame career. 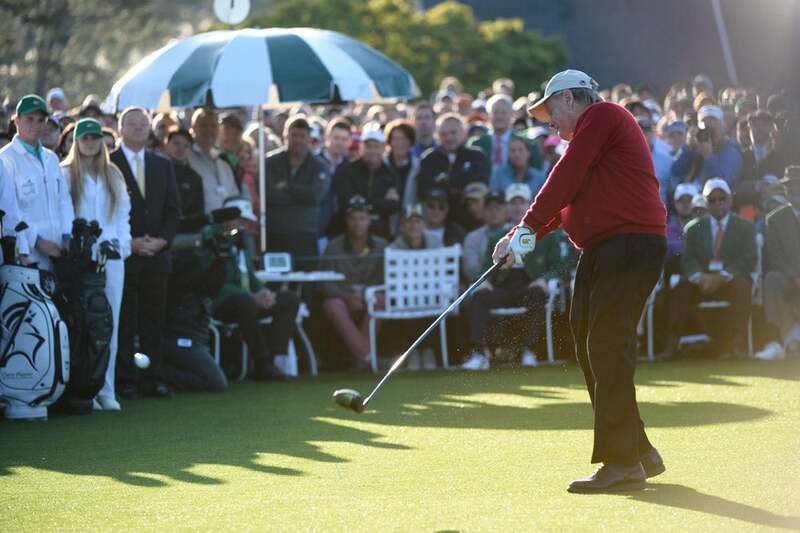 Jack Nicklaus takes his swing. 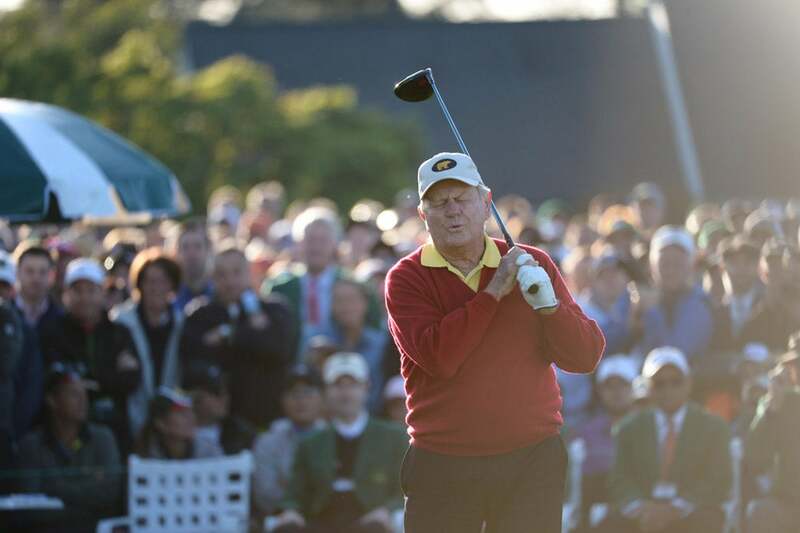 Nicklaus, of course, has won a record six Masters titles. 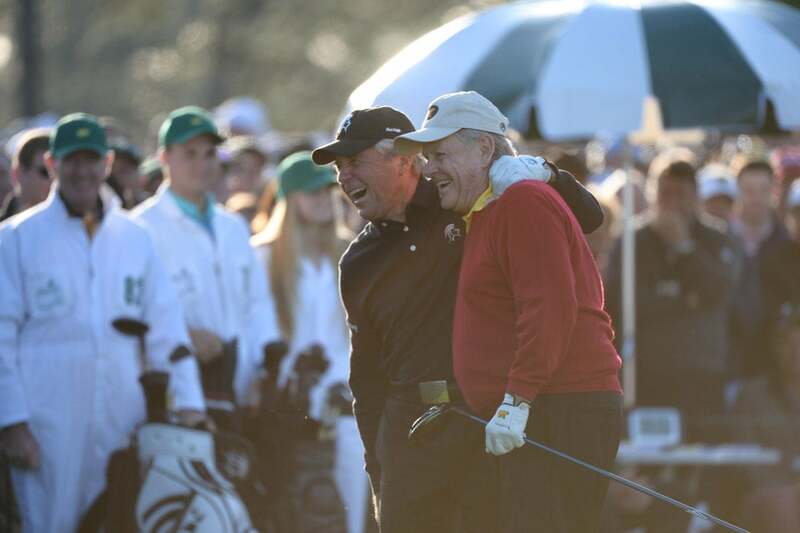 Before his death, Arnold Palmer joined Nicklaus and Player for the ceremonial tee shot each year. 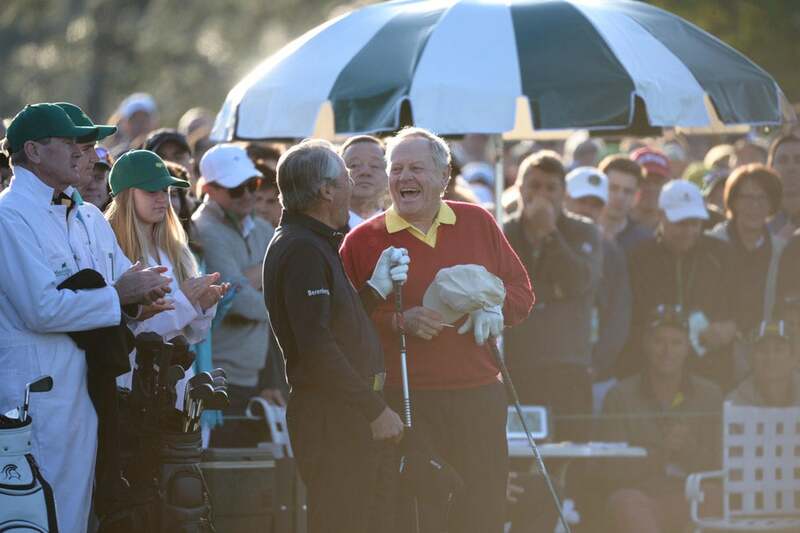 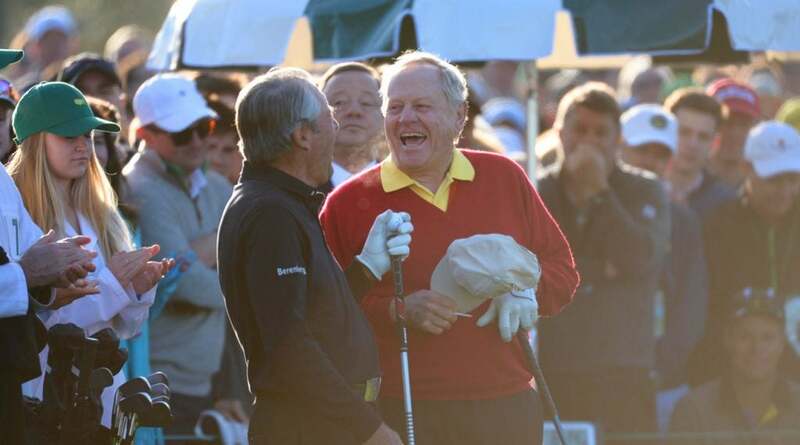 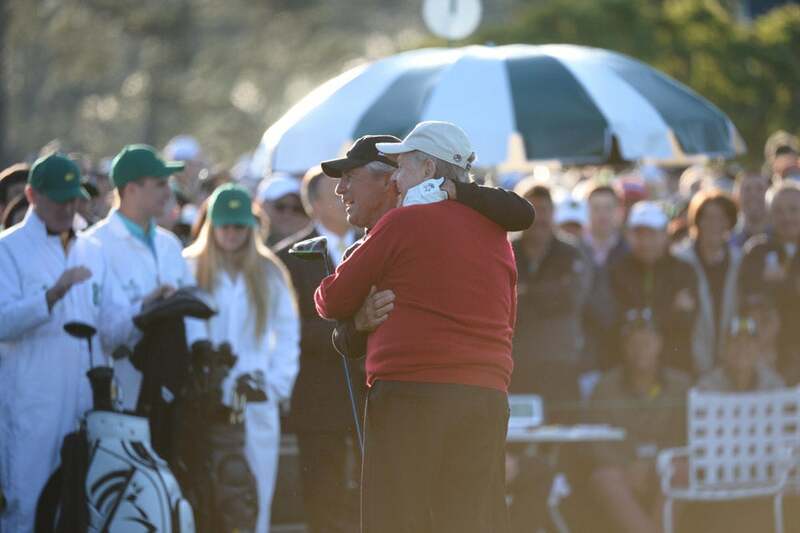 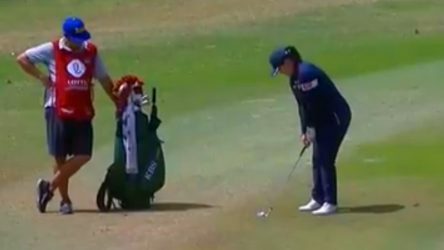 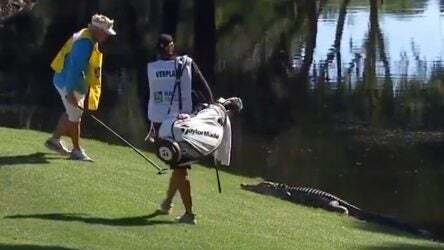 Nicklaus congratulates Player on outdriving him. 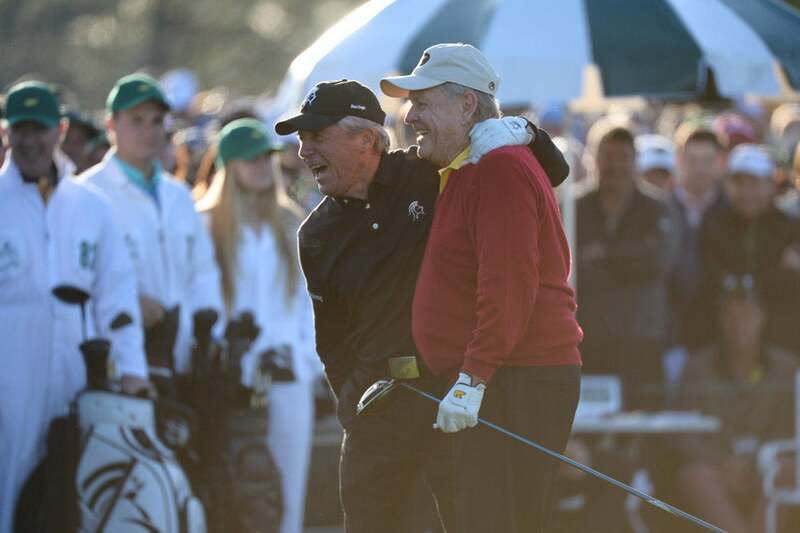 McIlroy and Stoll made their first public appearance together as a couple in May 2015 and were engaged in December 2015. 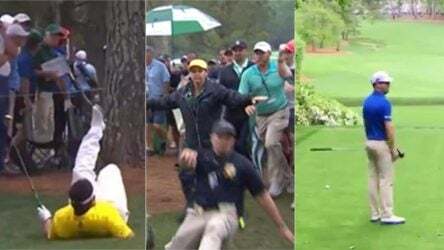 They reportedly have an April wedding planned, but first McIlroy will try to complete the career grand slam at the Masters.